This is an impressive book. 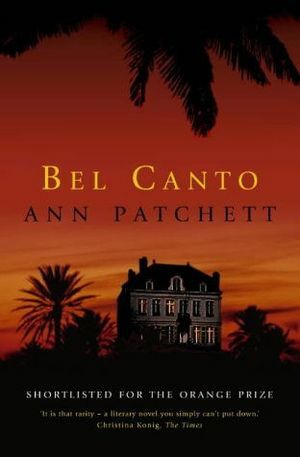 Somehow, Ann Patchett manages to create vivid characters with plausible relationships in the most limited of settings. The novel begins dramatically with terrorists swarming an international gathering, looking for the president of the small Latin American country. But it turns out he stayed home from the party to watch his favourite soap opera and, with no plan B, the terrorists let all but one of the women leave and keep the rest of the group hostage while they figure out what to do. The exception is the famous opera singer Roxane Cox, who proves to be a valuable bargaining tool. The operatic theme is clever, tying Roxane’s morning singing routine into the relationships that form within the captive group. Convincingly, we lose track of time after a while and the characters quickly lose any desire to escape, accepting the house they originally entered for a birthday party as their new home. It would be tempting with such a confined setting (both time and space are restricted here) to go into long detailed descriptions of the characters’ lives, as a way to broaden the scope and escape the four walls. But this is never indulged and we begin to care about the characters knowing little about them other than their thoughts and feelings in the immediate situation. Patchett has an amazing skill in using perspective, whereby she effortlessly shifts from one character to another at times within the same paragraph, as if gliding freely among their thoughts. As in opera so too does this novel end tragically. However, like the captors we have become so swept up in the new life they have created, the inevitable ending comes as quite a shock. The other thing I particularly loved about this book was the importance of the polyglot, Gen. As this is an international gathering, he becomes invaluable translating firstly the demands of the terrorists, but increasingly as a tool for characters to confess their feelings for each other; declaring love from Russian into English and Japanese to Spanish. But he’s not always required and as Roxane knows, language is not the only way to express oneself. This should be made into a movie . . . Wow!